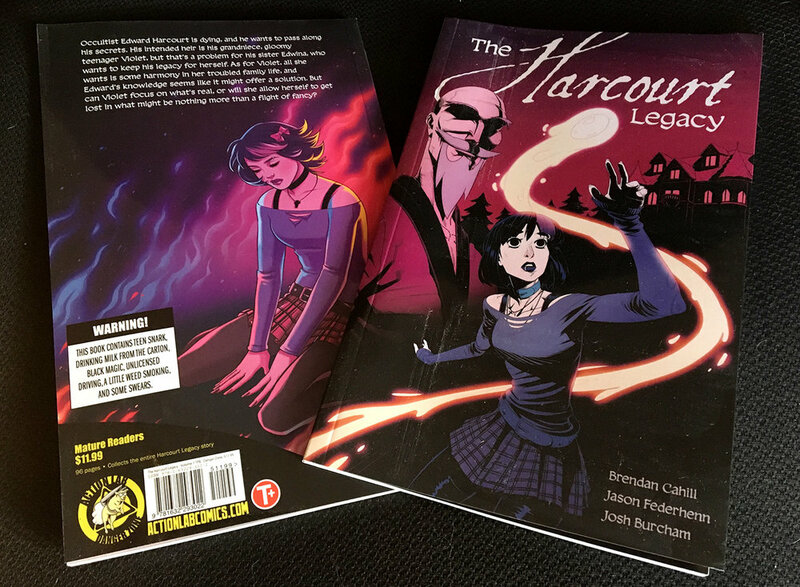 The Harcourt Legacy trade paperback is available now, in comic shops and online! The trade collects the entire story, so if you haven't checked it out yet, this is the perfect chance. Rich occultist Edward Harcourt is dying, and, after a lifetime of searching for true magic, he thinks he’s found some answers, and wants to pass along what he’s discovered. He names as his heir his grandniece, gloomy teenager Violet, but that’s a problem for his sister Edwina, who wants his legacy for herself. All Violet wants is some harmony in her troubled family life, and it seems like Edward’s magic may offer a solution. But is it real, or just a flight of fancy that will leave Violet even more lost than before? In comic shops now! So, if you can, head to your local shop and grab it.